Wealthfront has lowered its minimum investment from $5,000 to $500. In the process it also picked a fight with its competitor, Betterment. 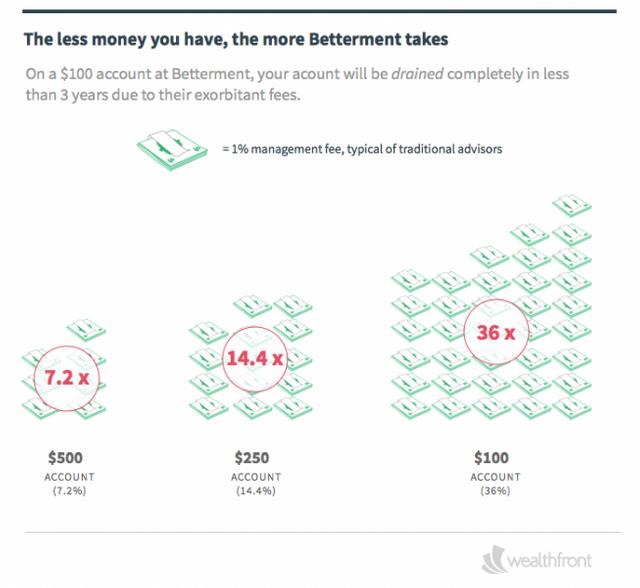 Wealthfront's CEO argues that Betterment, which does not have a minimum account size, charges management fees that are wildly misleading. @aunkurarya with so many obvious evil big cos in FinServ, I don't get why @Wealthfront would attack @Betterment. It smells desperate.